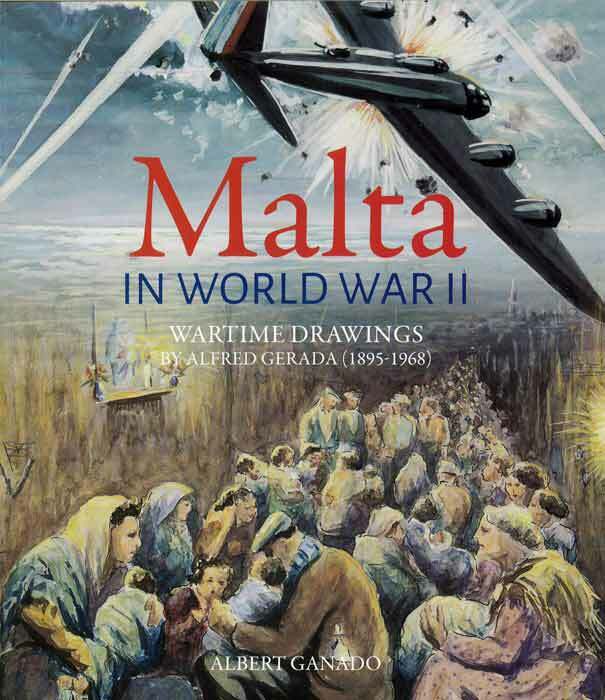 rare first-hand glimpse of World War II in Malta. 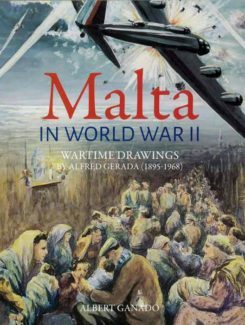 Alfred Gerada, a newspaper cartoonist and artists, vividly brushes everyday life of the Maltese during those turbulent years, between 1940 and 1942, when Malta’s fate hung in the balance. The scenes he painted are full of life – fighting over potatoes; queuing for cigarette; salvaging war destruction; praying for survival. No photography could have captured the soul of the scourge of war better than this collection of 116 watercolours, painted from real life.